Who is 1&1 Hosting Suitable to? I have been hosting some of my websites with 1&1 for 6 months so far. I will be sharing my experience with them in this review. At the end of this review, you’ll have a full understanding of what you can expect from 1&1 hosting services. And if they really deliver in exchange for such cheap prices. 1&1 is a web hosting company owned by United Internet, a Germany based company. They also do, domain name registration. Checkout my unique take on their domain here => 1&1 Domain Review – My Unique Take. 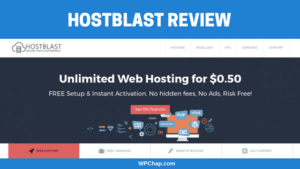 However, in this review, I will focus on their web hosting services. 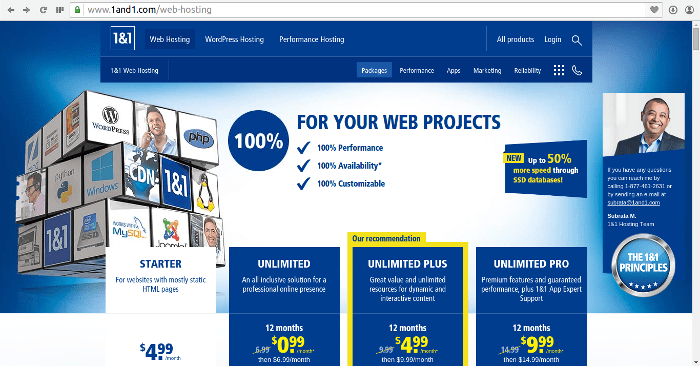 If you are looking to host a website, read on to find out the truth about their hosting. 1&1 offers a variety of basic web hosting packages to ensure you get the very best value for money whilst enjoying all of the features you require to build a successful website. As you can see from the screenshot above, 1&1 has upto 4 hosting packages for Linux hosting. All packages offer unlimited webspace and websites, except for Starter pack which allows 1 website and 100GB webspace. The Unlimited pack costs $0.99 per month for the first 12 months, after which you pay $6.99/month for the next term. A free domain is also included for in all packages. However, the domain is only free for the first year after which they charge you. 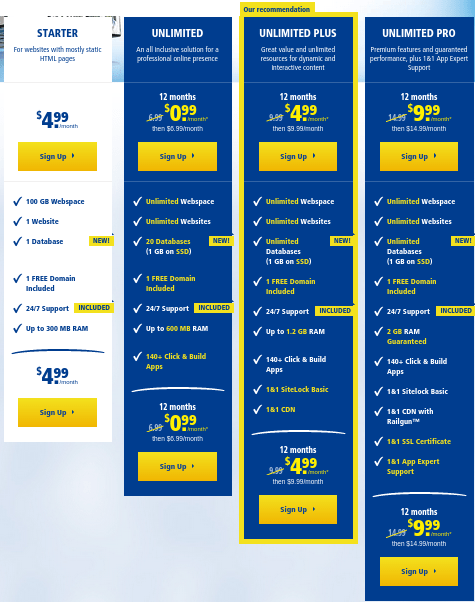 Well, when I was registering for a hosting account with them, I signed up for Unlimited pack. According to the description, this pack was enough to handle my websites. 1&1 have got a phone line, which you can call in case you want to place your order on phone. However, the process to make an order online on their website, is pretty easy as well. An average computer user shouldn’t find problems making a purchase online. In order for you to complete your purchase, 1&1 accepts; Visa, American Express, Mastercard and Discover. Unfortunately, 1&1 don’t use cPanel. You’ll be using a custom control panel rather. The interface may take you some minutes to before you get familiar with it. 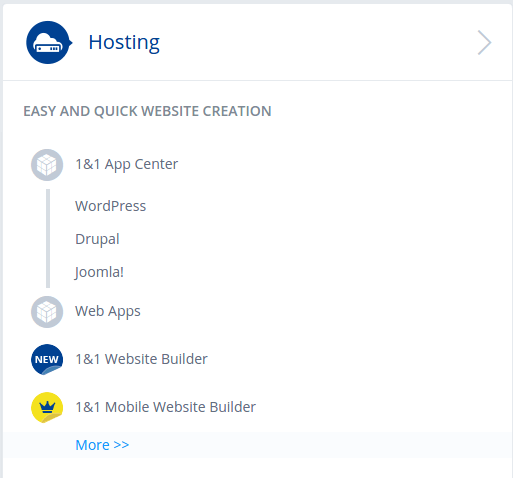 From the hosting section, you will be able to make quick app installs. Such as WordPress, Drupal, Joomla and others. You also get to use their Website Builder which is included in the package. 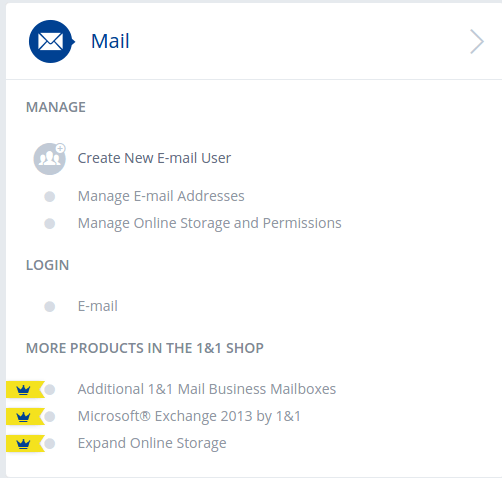 Similarly using this control panel, you can create and manage email addresses. 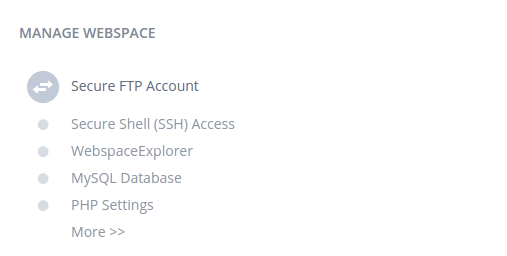 Here, you will be able to create your FTP accounts, which you can use for file transfer on your account. 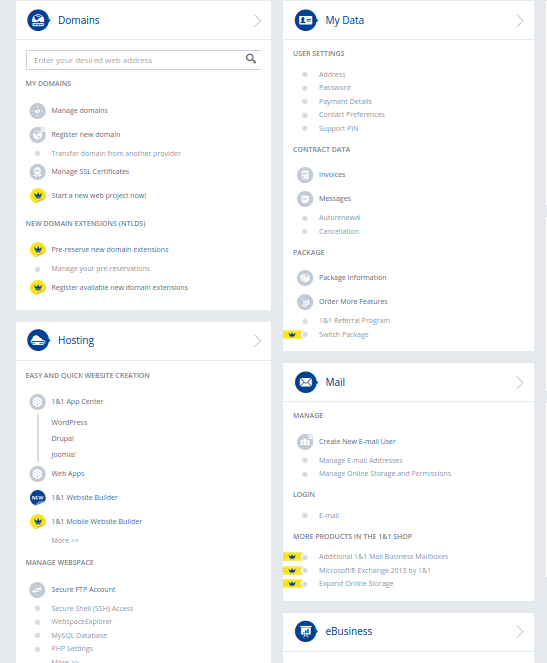 You also get to tweak PHP Settings like changing default version of PHP, manage MySQL databases and explore your webspace using WebspaceExplorer. Our highly trained technical experts offer 24/7 telephone and email support, giving you constant access to excellent advice and assistance, whatever your webhosting question. A customer at 1&1 can get support or help by telephone, email or by searching the help center (knowledgebase) where you find already written tutorials and guides. Well, I agree telephone support is really cool. But, I find a phone support alone, as a way of getting help in real-time not flexible. A chat support in the current age, is much more appropriate. With 1&1, you can test your package knowing you have a 30 day trial period. If you are not satisfied for any reason, you can easily cancel and receive a refund. Just in case you find yourself not satisfied with the kind of service 1&1 gives you, you are free to ask for your money back, within 30 days of purchase. I believe there is no business that doesn’t have the good side, as well as the bad side. So, let’s take some time and look at the good vs the bad as far as web hosting with 1&1 is concerned. Developers looking for an affordable but good hosting. Bloggers, who need a good host at an affordable price. 1&1 is one of the few affordable web hosting company I can recommend. They deliver, and their webservers are reliable. My experience with 1&1 hasn’t been bad so far for the last 6 months, it’s been good. And I can say, my websites have been healthy too. So.. Do they Really Offer Such Cheap Services? I recommend them to any web developer who is just starting up, even to the professionals and bloggers. Because, they deliver. Click this link to try 1&1 today, and in case you are not happy, you can always ask for your money back within 30 days. For any comments or questions, please drop them below and I will be glad to read and respond to you.